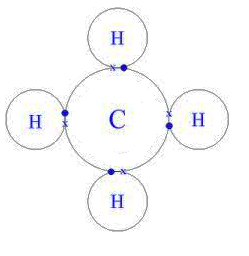 A bond between two non-metal atoms. They bond by sharing electrons to complete their outer energy levels. They are held together by strong forces of attraction of the shared electrons to the nuclei. Simple molecular structures are held together by weak intermolecular forces, formed when e- move towards one end of the atom. Does not dissolve in water, but may in some organic solvents. Held together by many strong covalent bonds, which require energy to break, meaning high MP & BP. 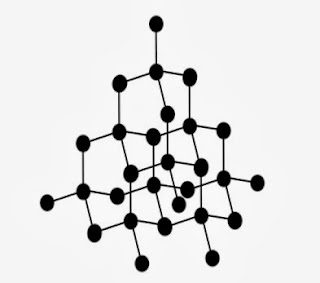 Graphite - Each carbon atom is bonded to three other carbon atoms. Graphite can be used as lubricant due to its structure. Diamond - Each carbon atom has a complete outer energy level and is bonded to four other carbon atoms. It is the hardest known substance, is used for cutting. It has a high MP due to the many strong covalent bonds.